Includes the names: W. S. Cerve, W. S. Cervé, Spencer Lewis, Spencer Lewis, H.Spencer Lewis, Lewis H Spencer, Wishar S. Cerve, Spencer H. Lewis, H. Spenser Lewis, H. Spenser Lewis ... (see complete list), H. Spencer Lewis, W. S Cervé, Harve Spencer Lewis, Harvey Spencer Lewis, PH.D. H. Spencer Lewis, Ph.D. Dr. H. Spencer Lewis, H. Spencer ed. ; AMORC Lewis, Wishar Spenle (1883-) Cerve, F.R.C. 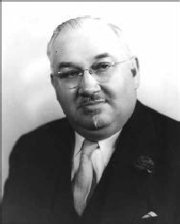 H. Spencer Ph.D. Lewis, Ph. D. F.R.C. H. Spencer Lewis, H. Spencer Lewis Ph. D. F.R.C., Ph.D. H. Spencer Lewis, F.R.C., F. R. C. Ph D. H. Spencer Lewis, PH.D. DR.H.SPENCER LEWIS F.R.C. Wishar S. Cervé is a pseudonym of H. Spencer Lewis. H. Spencer Lewis is currently considered a "single author." If one or more works are by a distinct, homonymous authors, go ahead and split the author. H. Spencer Lewis is composed of 25 names. You can examine and separate out names.